Hilary Manning loves to do henna. She picked up the art through several hard years of trial and error before meeting other henna artists at henna conventions. Since then she has been attending get-togethers with other henna artists and growing in knowledge and ability. 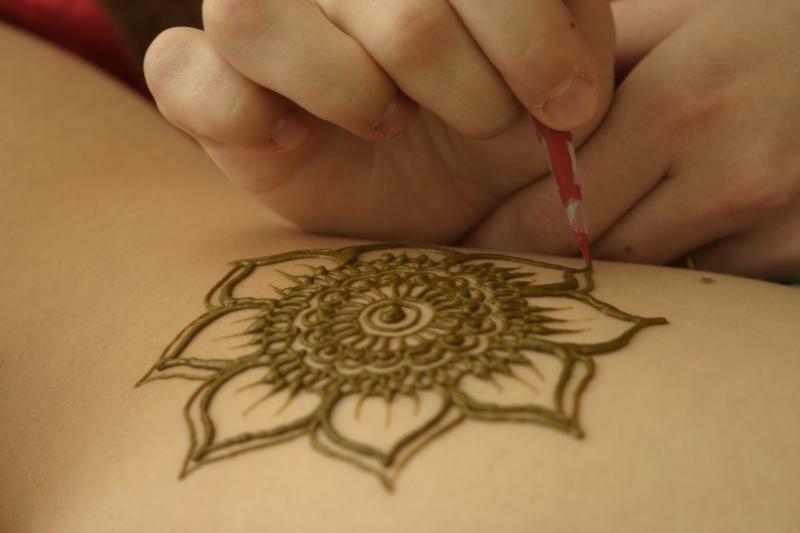 Hilary's mission is to provide a fun experience at your event or gathering through enjoying the beauty of henna. Hilary's Henna first started out as a small henna booth at a local festival. Since then it has been to many festivals and fairs in: Mendocino, Sonoma, Sacramento and the Bay Area. Hilary has enjoyed working for brides in the Bay, pregnant mommies in Mendocino County, as well as local parties.